Ever fancied rampaging down a Japanese city street in your own four-story high suit of molten-metal Armor? In Shogo: MAD, you can choose from four ultra powerful transforming Mobile Combat Armor suits, each with its own advantages and strengths. Find tons of powerups and enhancements to improve your MCA's performance. With separate arsenals for both MCA and on-foot modes, you can wield over 20 incredibly powerful weapons. Then battle more than 20 enemies who want to survive as badly as you do. State-based AI and custom scripting force you to think before you act. Fortunately, you will have some help from your friends. Allied AIs may back you up or require your protection in certain missions. Featuring a gripping story, characters you will grow to love or hate, and goal-oriented level design pull you into the experience, Shogo presents you with a truly classic, cinematic experience. "WOAH! 3 new Death Match maps for Shogo? Made in 2018? Am I dreaming? NO YOU DONT! So grease up the gears of the old MECH and jump into In Mech or On Foot Battles with your friends and find out who the bigger Mecha Anime Fan is! // FIRST OF ALL, THANK YOU FOR PLAYING! 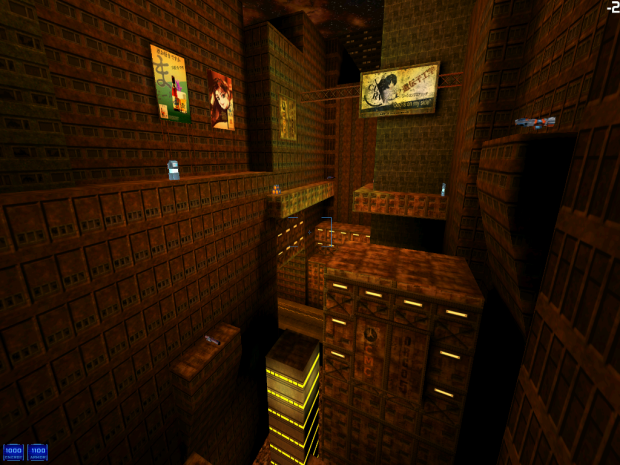 Put the maps into the custom folder of your shogo installation to load the maps in multiplayer. 1 Map is for In Mech, and the other 2 are for On Foot. Jump from roof to roof! IF YOU FALL, YOU DIE! All players start in outer areas. RED RIOT in the center. Get to the center to pick up the big badabooms! This museums attractions are weapon and healthpickups! Two event halls and a rooftop with powerful weapons await you. Players start in the central corridors. Get up, then get down to frag everyone in sight! Fog makes it hard to see opponent. Take care of the Kato! Risk Reward! There is a "squeaky" secret for those that dare to swim in kato somewhere. Kickass! Thanks for this. I'll be sure to grease it with instagib hugs. I could really use Shogo:MAD 2 right about now. thank you very much. I hope you got some peps to play with you. ;) Have fun!